Marked by cooperation and willingness to work with others; an organization owned by and operated for the benefit of those using its services. A co-op demands parent involvement. It requires working in the classroom one or two times monthly, attending committee meetings, board meetings, and parent education programs, working at the school performing maintenance/repair duties, etc. While the rewards are great, parents must understand that a considerable amount of involvement and commitment will be required. The parents of our organization employ the teachers. These same employers will work in the classroom as assistants to their employee. It's an unusual relationship that requires a lot of common sense on both parts. The teachers should be recognized as the education authorities at all times and the parents must respect their expertise while helping in the classroom. The parents are responsible for the business of running the school and the teachers should respect that role. We have an Executive board which is made up of elected officers. Our full Board of Directors consists of the elected officers, the Executive Director, the Financial Director, and the chairs of each committee. Current Committees: Fundraising Committee, Housekeeping Committee, Property Management Committee, Parent Participation Committee, plus other committees as needed. PCPI: Parent Cooperative Preschools International is a non-profit international council dedicated to the family and the community. PCPI represents more than 50,000 families and teachers, providing on-going support to families, educators, and social agencies who recognize the value of parents as teachers of their children and the necessity of educating parents to meet the developmental needs of their children. PCPI offers a group accidental death and dismemberment policy which the Field Station takes part in. ICPC: The Indiana Council of Preschool Cooperatives is a non-profit, non-sectarian umbrella organization for 19 member parent cooperative preschools in Indiana. They represent over 500 Indiana families. ICPC serves member parent cooperative schools in Indiana and offers the following services to any cooperative in the state; they demonstrate excellence in teaching young children and educating parents; they support parent cooperatives and their officers; they establish, maintain and promote standards for parent cooperatives; and they offer help and provide technical support to new parent cooperatives and affiliates. 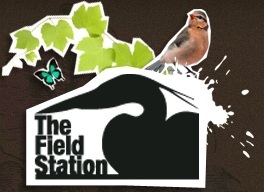 ICPC provides liability insurance and workers compensation for the Field Station at a group rate. When parents are involved in their children's education, they do better in school. And when parents are involved in school, children go farther in school. The family makes critical contributions to student achievement from preschool through high school. An environment that encourages learning is more important to student achievement than income, education level, or cultural background. The earlier that parent involvement begins in a child's educational process, the more powerful the effects. Positive results of parental involvement include improved student achievement, reduced absenteeism, improved behavior, and restored confidence among parents in their children's schooling.